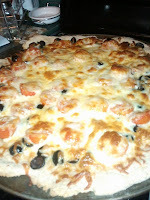 Spray the crust with EVOO cooking spray. 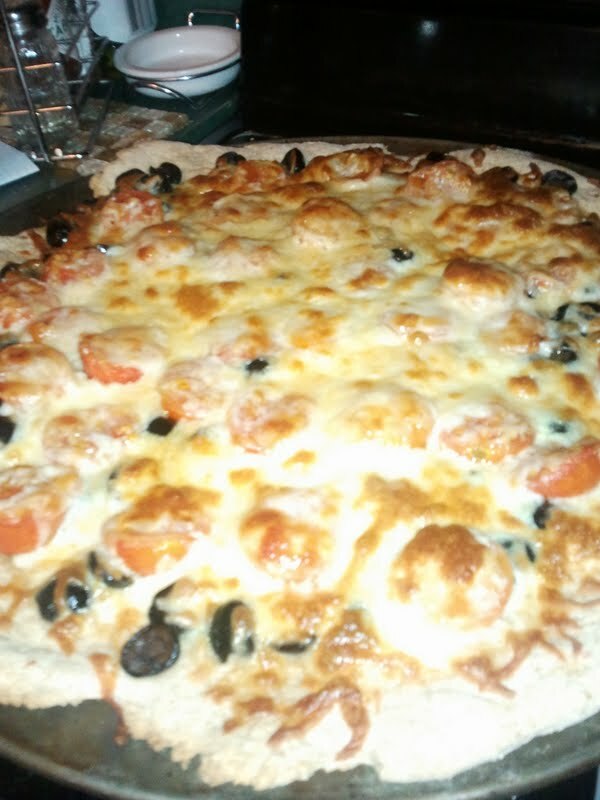 Scatter halved, pitted black olives and halved cherry (or grape) tomatoes over the crust. Sprinkle mozzarella and parmesan over the entire pizza. Spritz with a light spray of EVOO cooking spray. Bake 15 - 20 minutes on 400.